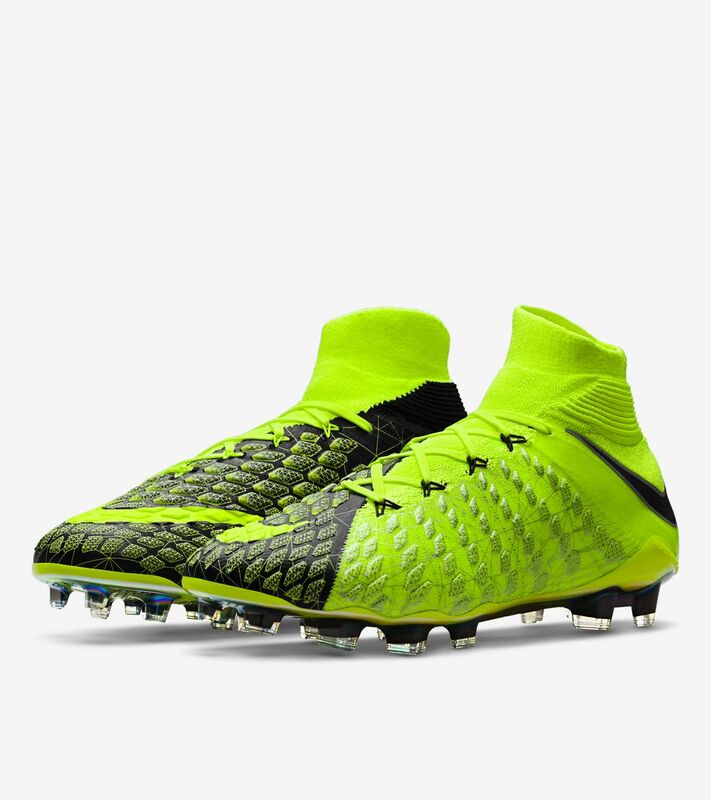 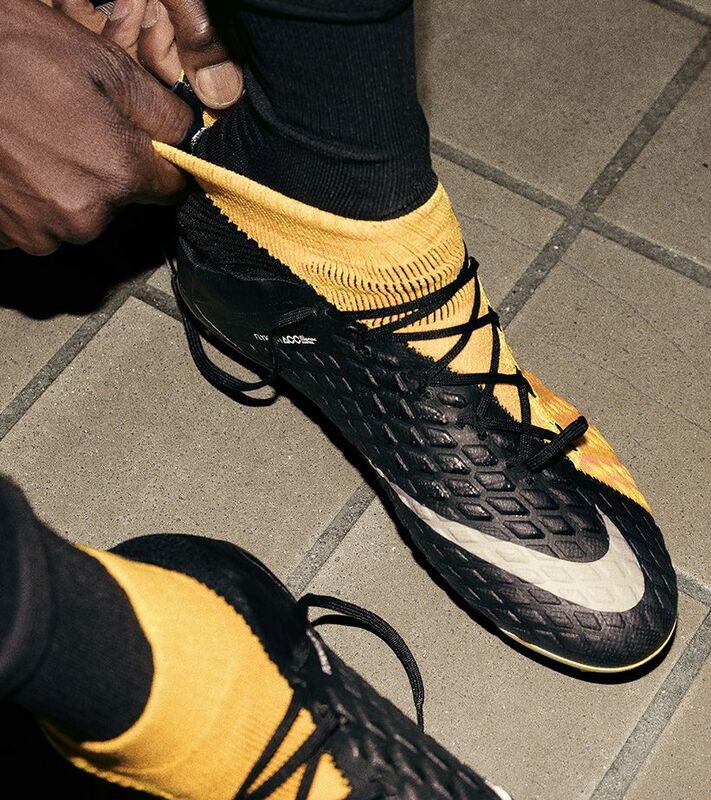 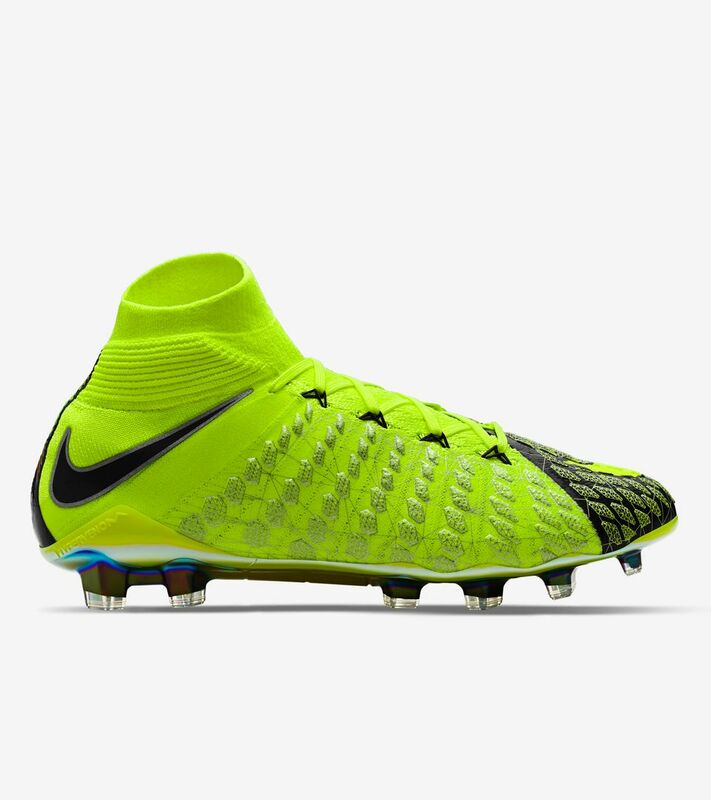 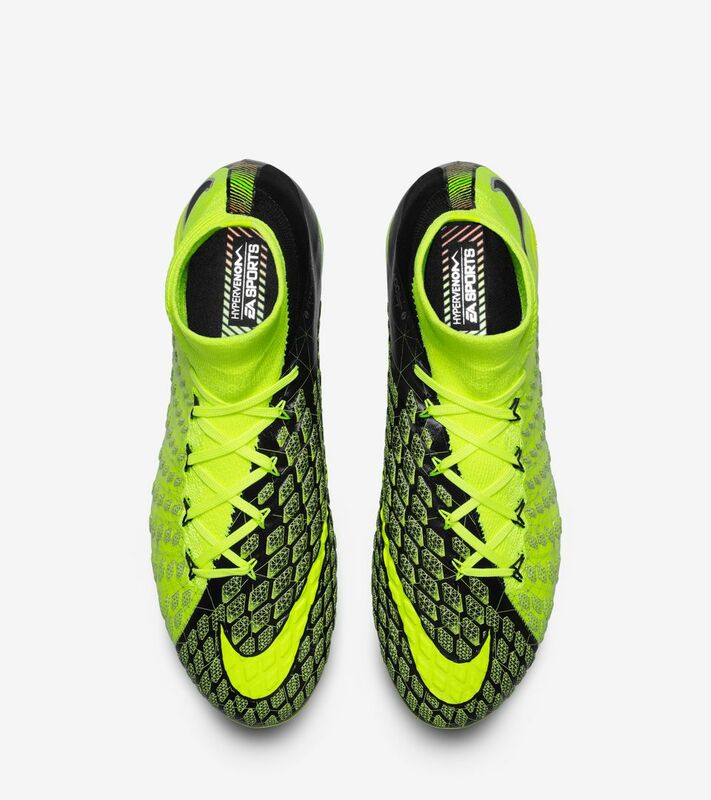 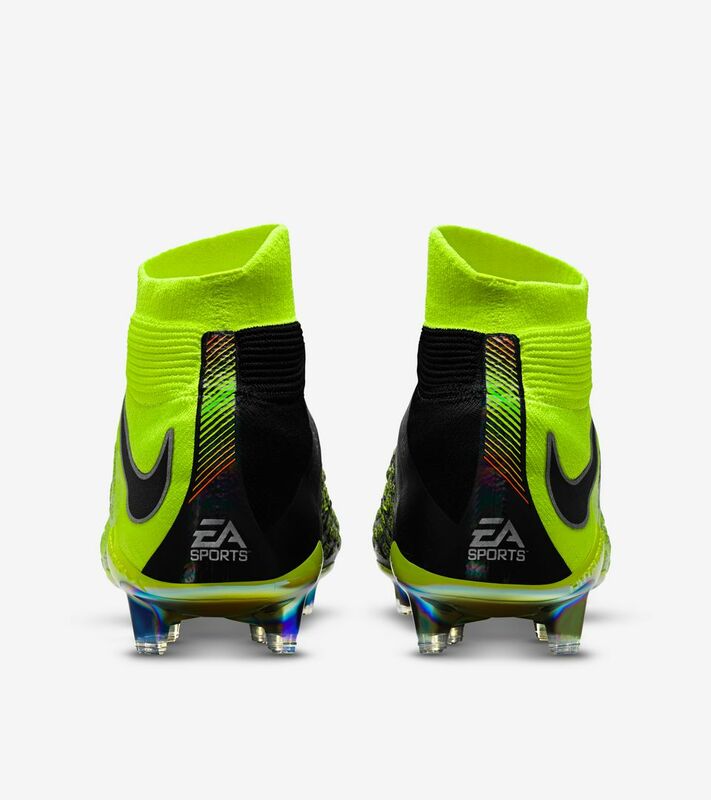 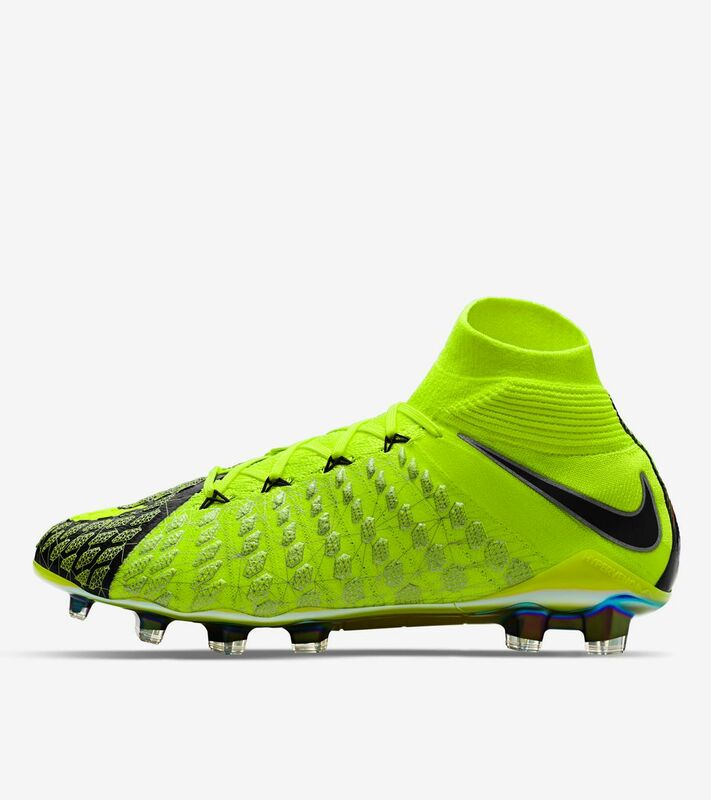 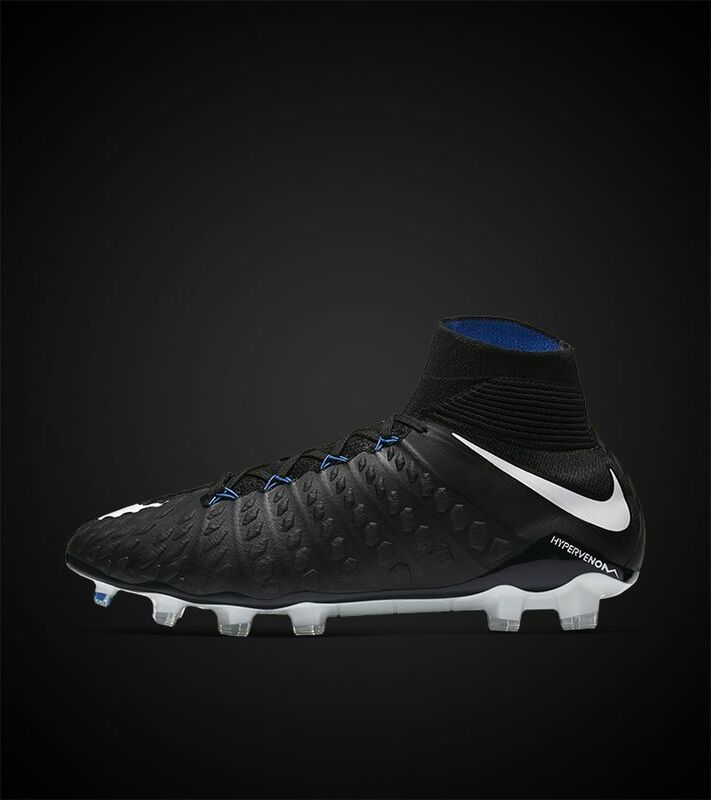 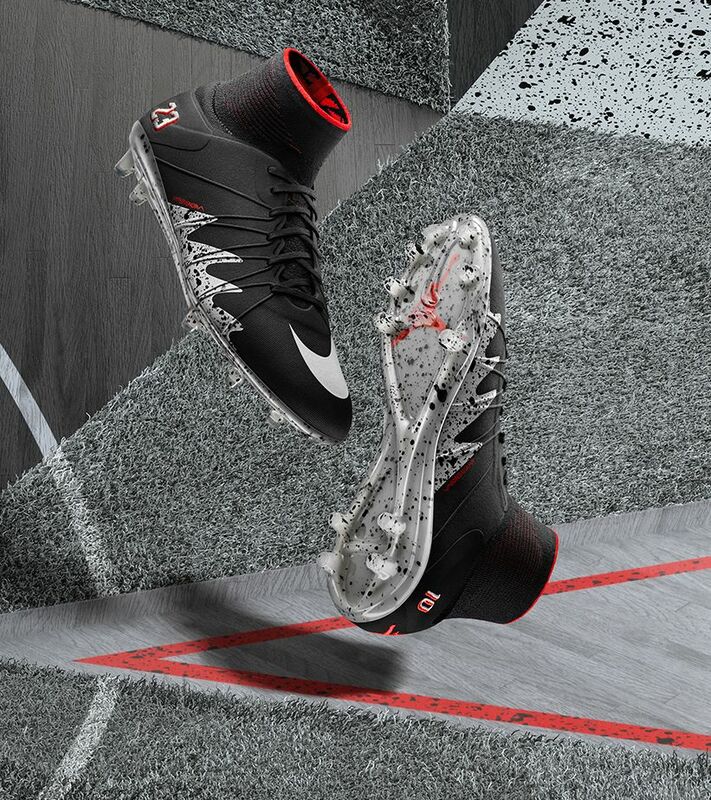 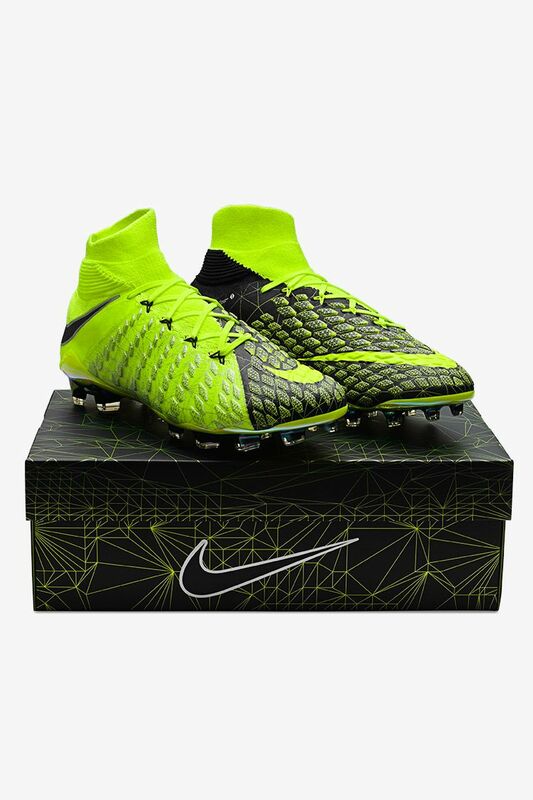 Inspired by the revolutionary motion-capture technology behind EA Sports’ 2018 game, the Nike x EA SPORTS Hypervenom Phantom III DF FG is the second iconic partnership between Nike Football and EA Sports. 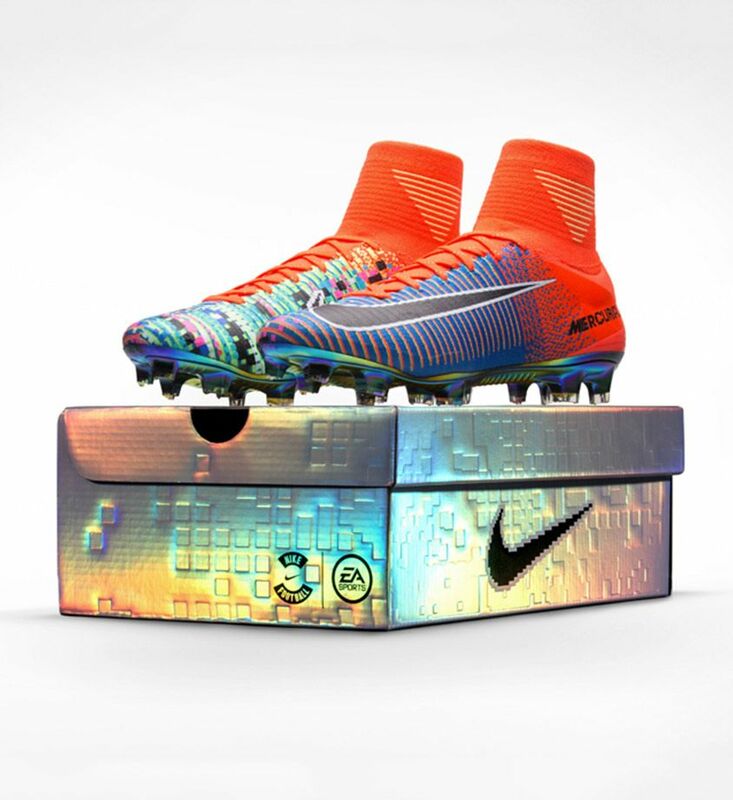 Each of the 3000 boots is individually numbered and arrives in a co-branded box. 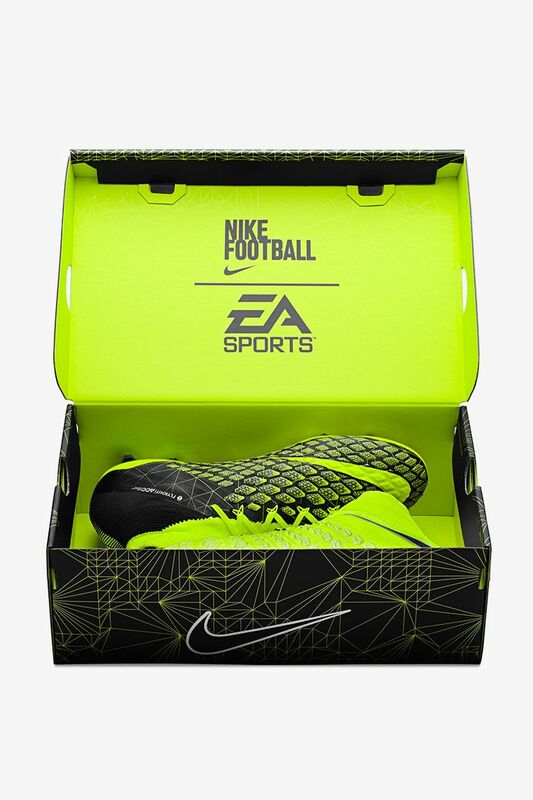 Motion-capture graphics highlight the strike zone, a nod to EA Sports’ push for authentic motion in their latest game. 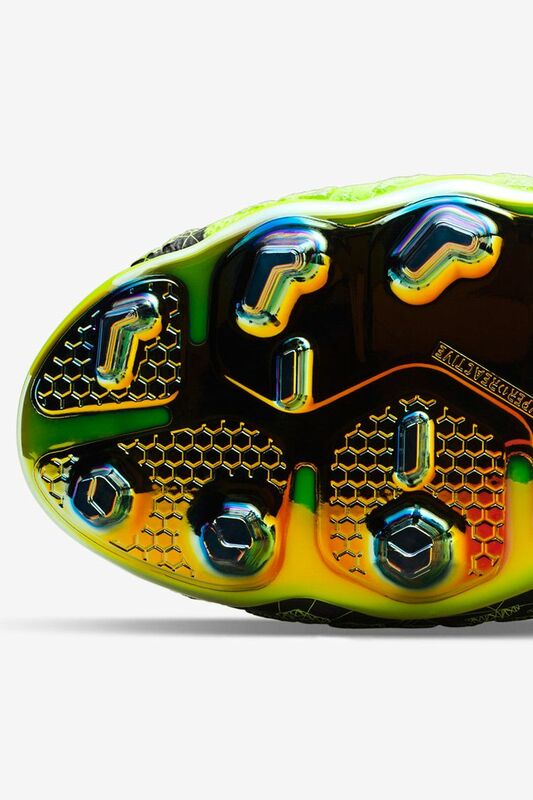 The graphics on the lateral side are treated with a reflective, multi-coloured coating, making each step shine. 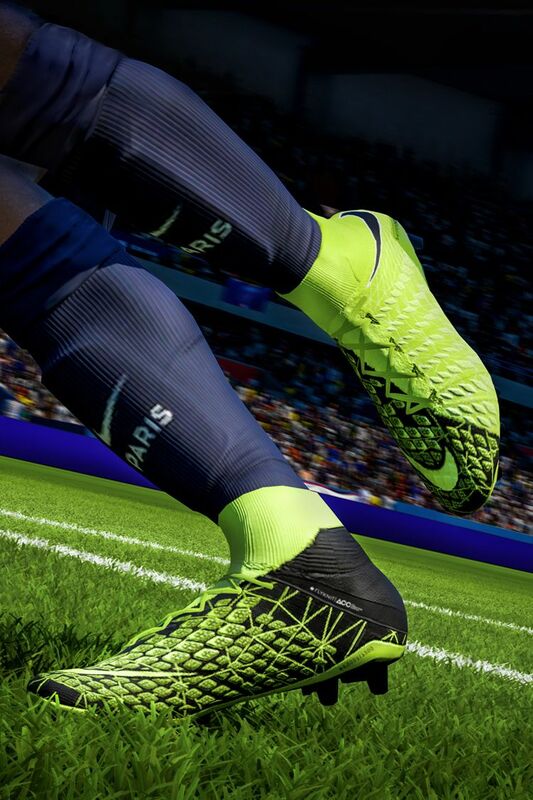 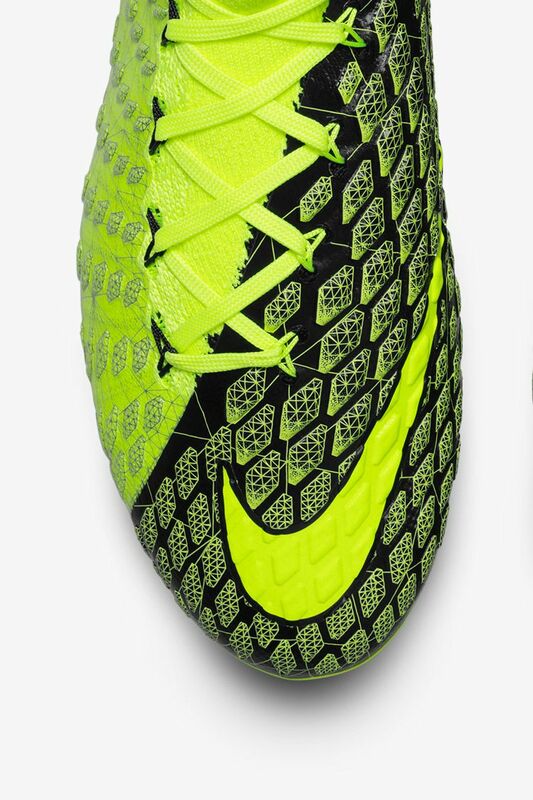 The heel pulls inspiration from gameplay, featuring a penalty kick power graphic. 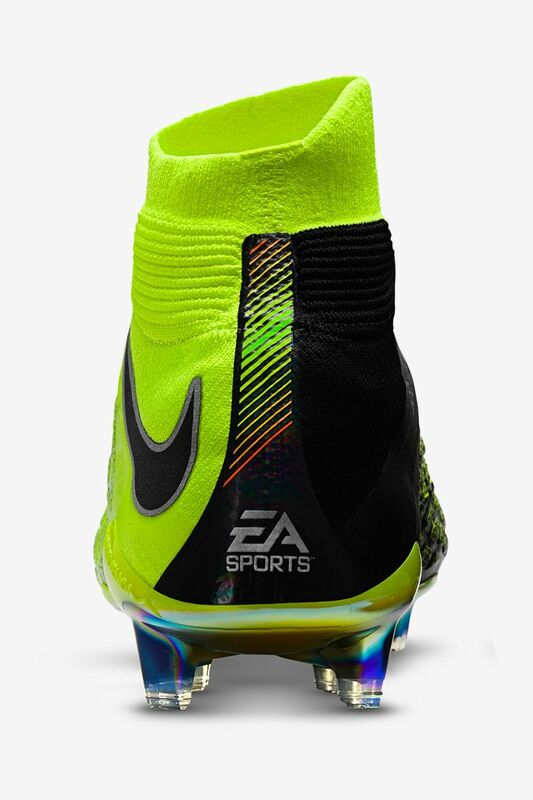 Below the kick meter is an EA Sports logo, the second to ever be seen on a Nike boot. 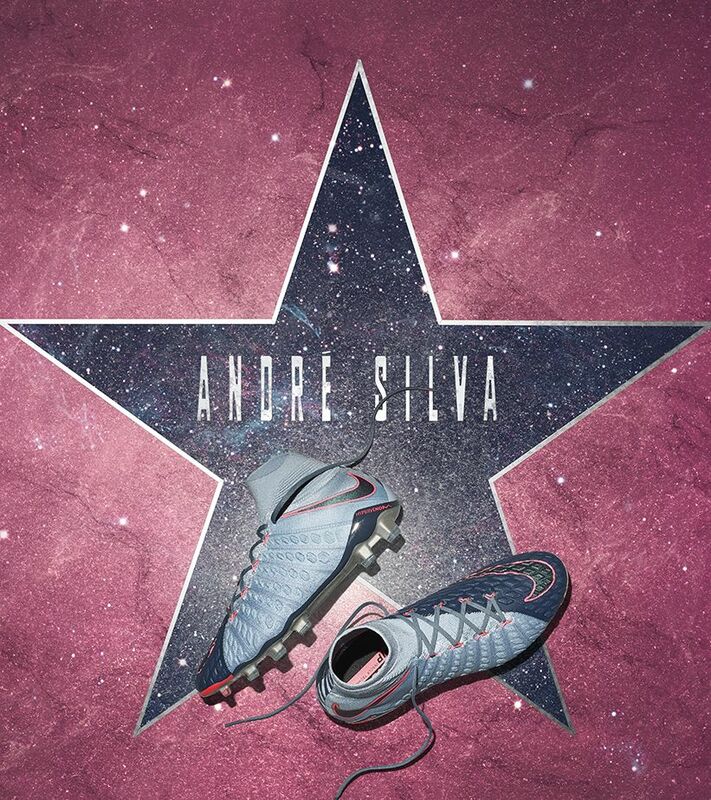 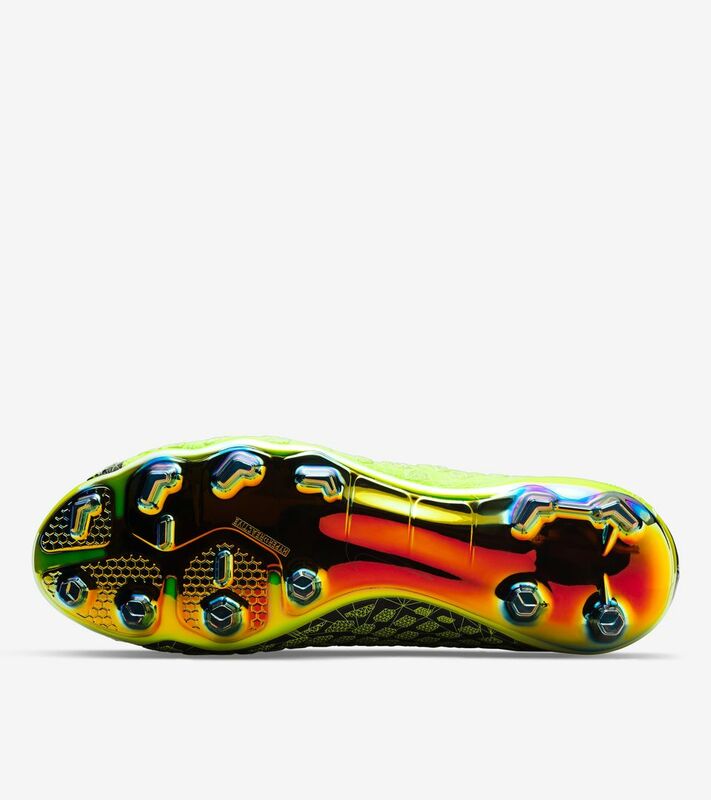 To complete the boot, the hyper-reactive plate features a multi-colour treatment with a chrome effect, similar to the lateral side.